Share this product and receive a $0.32 sharing discount. 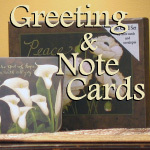 Don't be rushing around for the 'perfect card'... keep a few packages of high quality, inspirational greeting cards at home. 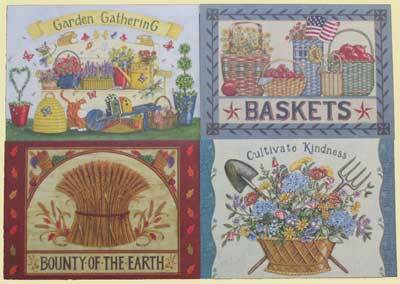 Outside: #1 Garden Gathering #2 Baskets #3 Bounty of the Earth #4 Cultivate Kindess Artist: Deb Strain Set of eight cards with envelopes.